Hebrew Text with transliteration and a variety of parallel translations. On-line versions of the Hebrew Bible. On-line facsimile of the 1877 edition of this essential lexicon. Users of Brown, Driver, Briggs will often be surprised to find that Genesius' definitions and root derivations are often at variance with BDB (but always helpful and often superior). Scholarly collection of extremely detailed articles on particular BH lexemes (containing extensive secondary bibliography). David Steinberg's excellent history including Hebrew's place in the Semitic group. Complete with many links and references. Basic Hebrew lessons free on-line. From the Ancient Hebrew Research Center. A new critical edition of the Hebrew Bible being developed for Oxford University Press. Excellent resource for learning Hebrew vocabulary organized by subjects (e.g., animals, weather). A free site incorporating topics with Hebrew phrases and sentences in audio recordings. 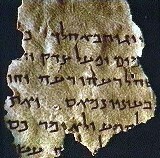 A Diplomatic presentation of text and Masorah (magna and parva) of the manuscript EBP. I B 19a, in the National Library of Russia in St. Petersburg, commonly known as the Leningrad Codex. Will include when available an extensive critical apparatus. The Hebrew Bible online with transliteration and other helpful resources. A project to create the first edition of the Hebrew Bible that reproduces the text of the Aleppo Codex and includes a thorough critical apparatus. Easy to use audio-Bible in Hebrew MP3 format.